“I don’t know what ye did but it just feels better…” This was the first reaction we received from a customer after a recent interface update. 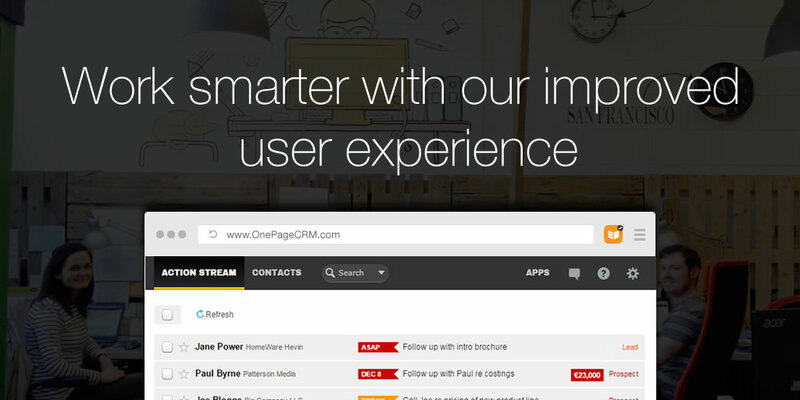 We’ve made a number of subtle but important changes to streamline the user experience while working with OnePageCRM. When speaking with our customers, we noticed that some people had difficulties finding the Action Stream configuration. In response to this, we redesigned and relocated these settings. We removed the ‘Stream Options’ link and introduced a more familiar gear icon placed just beside ‘My Action Stream’. The gear icon displays when you mouse hover over ‘My Action Stream’ to enable you to update your setting very quickly when you need it. Custom fields was the next area that we looked at. In order to solve the clutter involved when a large number of fields with extra long labels were used, we took on a more top-down approach to maximize the available space. 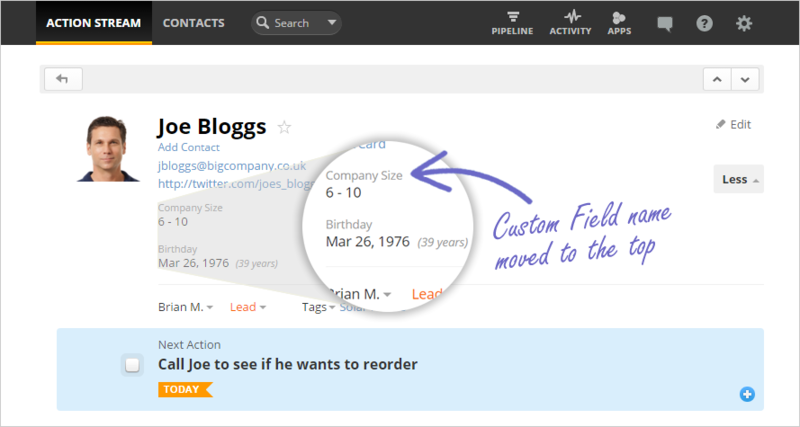 We’ve placed the field labels above their values to give a better flow when reading them and if you’re using multiple custom fields per contact this should be easier to tell them apart at a glance. 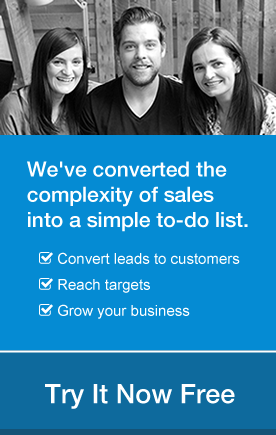 To edit your deal stages funnel you must navigate to the Pipeline page. We’ve simplified the layout of this edit option and moved it closer to the onscreen funnel itself so that it’s more intuitive to manage the changes you’re making. I have been experiencing page loading issues over the past week. The page will state that it is loading but then freezes my whole computer system. I have recently added more contacts and found the area in add notes where I can put an attachment document from my computer. I have been adding a PDF of pricing to customers contact page so that all of my information is in one spot (I love that this makes my job faster!) but I think since doing this it bogged down the CRM. The spot where it gets stuck is random, I could just be adding call notes without an attachment or resetting the date, then when I click on action stream to get back to today’s calls it locks. Have there been any other issues like this? Can this be fixed? I’m sorry to hear you’re having troubles with using OnePageCRM. I see here that Carmel from our Customer Success team has been on to you on the phone and hopefully that should help solve your issues. If you’re still having trouble please let me know and I’ll be happy to take another look at it.